Groningen, Netherlands — Jansen & Heuning supplied a fully automated feed installation for a dairy farm in Saudi Arabia with 70.000 cows. 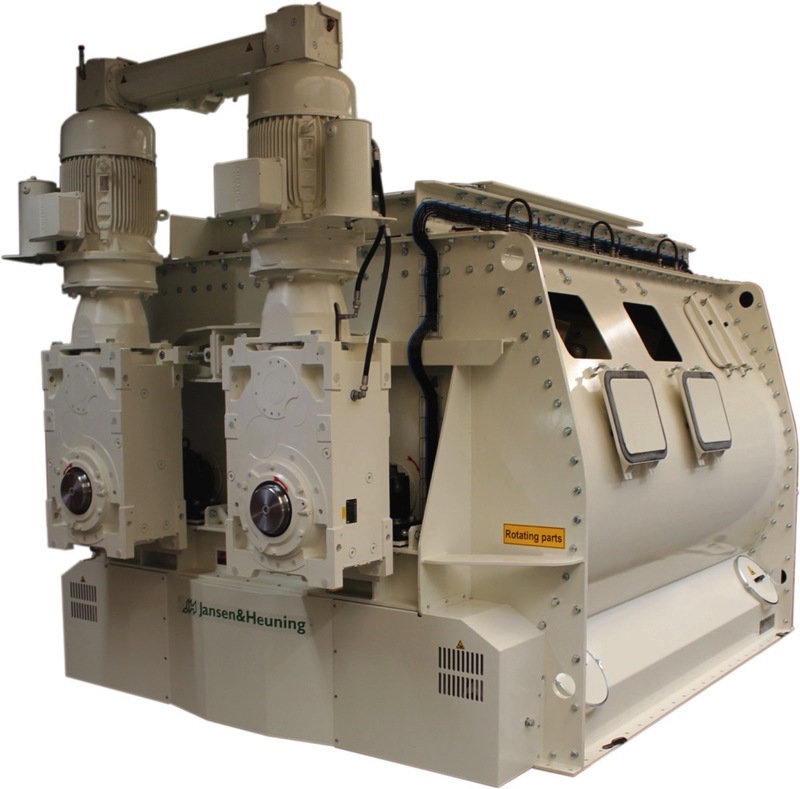 Two newly developed concentrates mixers, each with a drive power of 110 kW, are the heart of this installation. For the 70.000 cows on the farm, each mixer mixes 10 m³ (4,5 t) of feed every six minutes. Thirteen different nutrients and minerals are carefully weighed before they enter the mixer. And since the cows have a special taste, some palm oil is added, too.